The great American actor had countless movie roles, but was 58 before he became a leading man, in Wim Wenders's 1984 classic "Paris Texas." That didn't happen again until "Lucky," whose release comes in the wake of Stanton's recent death, at the ripe old age of 91.The eccentric drama, the directorial debut of character actor John Carroll Lynch, is practically a biography of its star, as Stanton plays a 90-year-old atheist, living among a cast of quirky characters in an off-the-radar desert town. Having out-lived and out-smoked all of his contemporaries, the fiercely independent Lucky finds himself at the precipice of life, thrust into a journey of self-exploration, leading towards enlightenment. 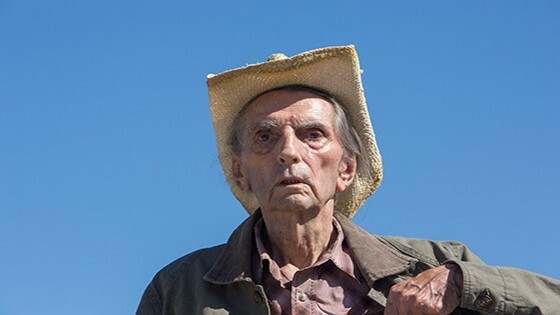 "Lucky," is at once a love letter to the life and career of Harry Dean Stanton as well as a meditation on mortality, loneliness, spirituality, and human connection.